We are ensuring the complete service for organizers in the area of sport events preparation. We are offering the complete service package from Internet pages preparation, starting numbers preparation till advertisement creation. By the type of an event we provide the praparation of racing numbers from graphic design to the production itself. Standard service is the personalization - with athlete´s personal details on the bib (name, surname, nationality etc.). Full colour printing. 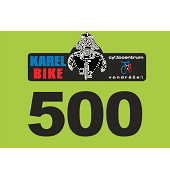 Standard A5 size, at the front and back singlet shaped race bibs there are possible even children´s sizes. Among the services offered to the organizers is included productions of banners, inflatable gates, providing print advertising boards etc..
We provide complete production web sites tailored to the customer. Production of posters, flyers, brochures - all according to customer requirements, complete processing of the graphic work to production and delivery to the customer.